Moel Famau - It's a bit of a hill! 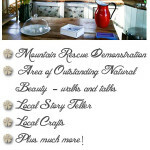 Welcome to Moel Famau – thanks for visiting! 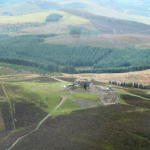 This is an unofficial site for the well known hill (it’s not high enough to be called a mountain) Moel Famau that is situated in a country park near Loggerheads between Mold and Ruthin in north Wales. We’ve published this site to provide useful information about the hill and the country park and hope you like it! The hill itself and the country park is located in an area of outstanding natural beauty (AONB) and the peak of the hill (at 1818ft / 554m) offers fantastic views. 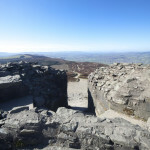 Sitting proudly on the very top of Moel Famau is the Jubilee Tower – or at least what remains of it. There’s a pleasant picnic area by at least one of the car parks (£1.00 at time of writing) where you’ll find a number of picnic benches. There are toilets here too – there aren’t any at the summit. Moel Famau is a very popular destination for walkers of all ages and abilities and is often the traditional venue for family walks on Christmas Eve, Boxing Day and New Years Day. As with any walk in the country please don’t leave litter; wear suitable clothing and footwear and check the weather forecast before you set off.